There’s no doubt that the early 1990s were developer Origin Systems’ glory days. The Ultima franchise was reaching ever greater heights with Ultima VI: The False Prophet and Ultima VII: The Black Gate, while 1990’s Wing Commander turned out to be an instant classic that was swiftly followed by the equally successful Wing Commander II: Vengeance of the Kilrathi. Both franchises would also go on to spawn several spin-offs such as the Ultima: Worlds of Adventure and Ultima Underworld games, and most of these would prove to do their proud heritage justice. In other words, Origin doubtlessly had a richly-filled stable of strong games on their hands. 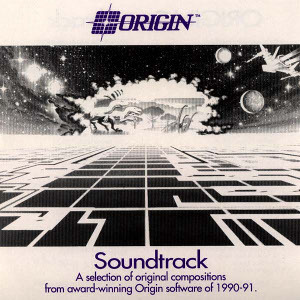 One result of this array of remarkable titles was Origin Soundtrack, a compilation of music from some of Origin’s high-profile games of 1990 and 1991. The year being 1991, dedicated album releases for Western game music were still pretty much unheard of (one of the very, very rare precedents was 1988’s GamePlay: Top Scores From Computer Action/Adventures). It’s no surprise then that Origin Soundtrack‘s… well, origin is shrouded in mystery. What seems confirmed knowledge is that the album is an unauthorised collection that was produced and engineered by veteran composer Martin Galway, who had just finished work on Wing Commander II. His likely aim was to showcase his work and that of other composers at Origin on a stand-alone basis. While it’s also obvious that the album was never made available for sale, how exactly it was circulated remains unclear. Some sources claim that Origin Soundtrack was given away as a holiday present to Origin employees, while others say the album was produced to be handed out at computer trade show COMDEX in 1991. What’s beyond doubt is that over twenty years later, the album has become a rare collector’s item and commands considerable sums when it appears in online stores and auction houses. Not surprisingly, Origin Soundtrack focuses on the company’s biggest powerhouses of the time, the Ultima and Wing Commander franchises. The latter is represented by selections from Wing Commander and Wing Commander II: Revenge of the Kilrathi. Until the 2007 release of Wing One – Music from Wing Commander, Origin Soundtrack was the only way to get hold of Wing Commander‘s classic score on album, even though Origin Soundtrack only provides about nine minutes of material from Dave Govett and George Sanger’s soundtrack, leaving out many substantial cues and selling short the score’s cinematic story-telling ambitions. Still, the selection of Wing Commander music on Origin Soundtrack does a reasonable job at presenting some of this pivotal score’s highlights and arranges them in a satisfying dramatic arc. As all other tracks on Origin Soundtrack, Wing Commander‘s music is presented as one long medley of pieces that features little in the way of segues, mostly opting to simply program the different tracks back-to-back with a couple of seconds of silence in between. Things start out with on a very strong note with Govett’s “Fanfare – The Main Theme”, and it’s obvious right away that Wing Commander comes closer to being the game score equivalent of John Williams’ Star Wars music than almost any other previous Western game soundtrack. The fanfare itself is a proud, memorable idea that bursts forth with both dignity and enthusiasm. However, “Fanfare and Theme” is more than just its iconic theme – Govett creates a piece with truly cinematic sweep, moving through an impressive number of changes in orchestration, tempo and rhythm. It’s an exceedingly well-developed overture that matches the game’s ambitions every bit and then some. Driven by an appropriately militaristic undercurrent, “Fanfare” nevertheless finds time for a quiet mid-section for a lovely, dignified melody on woodwinds and horns. As symphonic as 1990 chip synthesis allows, “Fanfare and Theme” is easily Wing Commander‘s – and Origin Soundtrack‘s – standout track. After this impressive opening, the music unexpectedly shifts into more low-key territory with “Swing Commander”, a laid back, gentle piece of light bar jazz that is an initially disorienting shift from the previous sci-fi adventure sounds, even though the track is well-composed. “Briefing” highlights the composers’ ambition to write suitably dramatic and involving music that fits the game’s space opera format. The cues opens with subdued, militaristic tension music that accompanies mission briefings in the ship commander’s office. Instead of just fitfully accompanying the scene with atmospheric underscore though, Govett adds a appropriately subdued woodwind melody on top of the tense chords to give the music an emotional hook. “Scramble!”, “Flying to Dogfight” and “Regular Combat” introduce Wing Commander‘s equally engaging, if too brief battle music, before the medley finishes with “Hero’s Funeral”. The piece is Wing Commander‘s most emotional track, opening with desperate brass calls against grave strings, while featuring one of Wing Commander‘s best melodies in its despondent woodwind line. It even manages to hint at the game’s main theme by subtly inserting fragments of the melody into its closing bugle calls. By far the most prominently represented game on Origin Soundtrack is Wing Commander II: Vengeance of the Kilrathi, which is given a 26-minute medley that represents the majority of music from the game – with some unfortunate omissions that we’ll get to soon. Needless to say that trying to find specific cues within this gargantuan one-track medley is a pain. What’s more problematic though is the simple fact that among the scores for numbered Wing Commander games (Wing Commander I-V), Wing Commander II is the weakest entry. Written by George Sanger, Dana Glover, Nenad Vugrinec and Martin Galway, Wing Commander II hardly ever sounds like the score for a large-scale space opera, and feels considerably less appropriate for its subject matter than the often-maligned industrial rock and ambient orchestral tones that accompanied Wing Commander V: Prophecy. One of Wing Commander II‘s problems is that most of its action cues were taken from the first game, which is likely the reason they weren’t included on Origin Soundtrack. Still, there were some new battle tracks written for Wing Commander II and their complete absence leaves the medley feeling woefully underpowered and in bad need of an adrenaline injection. Instead of catapulting the listener into swashbuckling space adventure, for a lot of its running time Wing Commander II‘s dabbles in tense, subdued underscore with a militaristic edge that unfortunately doesn’t do much to make the music more interesting (“The Flight Deck”, “Tolwyn’s Office”, “Midgames”, “The Bridge”). The melodic elements on these eventually monotonous cues – usually thin string or brass overlays – are perfunctory at best, and like almost all of Wing Commander II, none of these tracks match Wing Commander‘s mature orchestrations and melodic strength. “Midgames” is more aggressive than some of its brethren, but again its components are too simplistic to convince. The relaxed atmosphere of Wing Commander‘s “Swing Commander” is reprised twice here, further slowing down the medley’s momentum. “Poker” repeats “Swing Commander”s light jazz format, but the earlier track’s saxophone solo was more atmospheric than “Poker”’s piano solo, which in its MIDI rendition lacks too much of the instrument’s original warmth and comes off feeling a bit like elevator music. “Off Duty” is even more unobtrusive background muzak, this time more skewed towards light rock and in its stylistic orientation pre-dating the end credits music on Origin’s later Strike Commander. A few tracks are less humdrum, although they often don’t feel like fully-realised, successful compositions. “Jazz’s Escape” features some disorienting synth arpeggios over a heavy deep string melody. The combination makes for an interesting scene setter, but the track never achieves more than a general sense of foreboding. “Jazz’s Storm Clouds” is a mellow piece for Hammond organ and piano, and its right-hand piano runs create a nicely syncopated melody lead, but the chordal work underneath is repetitive and the piano runs never quite come together into one coherent whole and rather feel as if splattered indiscriminately across the piece. “Prince Thrakhath’s Theme” is a bit of an oddball creation, particularly given that it’s supposed to underscore the game’s main villain. Instead of giving the prince an imposing musical appearance, this theme changes back and forth between more dignified episodes, which are rather uninteresting, and skittish interludes that almost sound a bit comical with their bopping rhythms and high-pitched, sharp string figures on top. In the end, only Sanger’s “Main Theme – Cloak and Dagger” and “Angel Devereaux” truly convince. The first piece is Wing Commander II‘s only piece to maintain its predecessor’s enthusiastic sweep and bold nature, embellished with detailed orchestrations and a new main theme that’s appropriately brassy and heroic, if not as memorable as Wing Commander‘s fanfare (which by the way is subtly quoted here). “Angel Devereaux”, written for main protagonist “Maverick” Blair’s love interest, is the whole franchise’s most romantic piece, with an appealingly warm melody and a serene, almost religious touch generated by the addition of soft organ chords, an inspiration likely derived from Devereaux’ call sign. It’s an unexpected orchestrational idea that is implemented subtly enough to not overwhelm the composition, but instead only increases the music’s caressing nature. The other disappointment on Origin Soundtrack is the music for Ultima VI: The False Prophet, represented by a 10-minute medley and written by Todd Mitchell Porter, David R. Watson and Herman Miller. 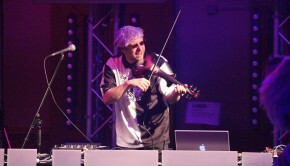 The game contained around 15 minutes of material, 11 minutes of which were new tracks, while the rest was carried over from Kenneth W. Arnold’s previous Ultima scores. 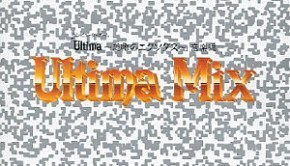 The Origin Soundtrack medley omits two tracks by Miller, “Audchar Gargl Zenmur” and “Unity”, most likely because they’re essentially variations upon “Rule Britannia”, one of the Ultima franchise’s permanent musical fixtures, which is already featured in its original form in the medley. While Ultima VI‘s sound quality marks a major upgrade over Arnold’s Ultima V: Warriors of Destiny, its compositions are markedly less inspired. Most of Ultima VI is dominated by a melancholy mood that the composers too often express by simply writing a number of simple, wistful melodies for harp or harpsichord that rarely provide any memorable hooks and after a while simply feel like repetitive chains of notes that could go on forever. When these threadbare melodies are mixed with simplistic or non-existing accompaniments as on “Can’t Remove the Pain” and “Black Forest”, Ultima VI degrades into mere background music that at least is not grating enough to annoy – it’s just boring. This problem even afflicts “Stones”, since Ultima V the series’ unofficial main theme. The piece’s otherwise charmingly soothing melody still maintains part of its appeal, but the track’s sparse and unimaginative orchestrations make the cue sound too much like Ultima VI‘s most insubstantial tracks. “I Hear You Crying” and “Fall Leaves” don’t leave the soundtrack’s dejected expression behind, but express it in more interesting ways by adding some beautifully evocative woodwind melodies that finally give the compositions a measure of emotional and timbral depth. “The Wander” mixes things up more, as it’s the only Ultima VI piece that actually features a reasonably full sound, which comes courtesy of its grave string chords. While not a complete loss, Ultima VI‘s music feels severely underequipped to score a game of its magnitude. On a side note, Kazuo Sawa’s music for the game’s SNES port is competent and superior to the game’s original score found on Origin Soundtrack, but isn’t particularly outstanding either. Fortunately, the Ultima: Worlds of Adventure scores found on Origin Soundtrack are far stronger, although they’re not exclusive to Origin Soundtrack any longer – both have been released a bonus items for the Ultima: Worlds of Adventures games published via GOG.com, which are available for free. First comes Worlds of Ultima: The Savage Empire, scored by George Sanger (it’s worth pointing out that the best Ultima scores before Ultima VII: The Black Gate were written or co-written by Sanger). A departure from the fantasy themes of the main Ultima series, The Savage Empire takes inspiration for its Victorian-era jungle setting from the works of Arthur Conan Doyle and Jules Verne. At 23 minutes, Sanger’s score is more expansive than any previous Ultima soundtrack, but only seven minutes of material make it onto Origin Soundtrack. Even this brief excerpt makes clear though that The Savage Empire, while not on the same level as Wing Commander or Sanger’s later Ultima scores, was still the most fully realised Ultima soundtrack to date (it also manages to edge out Barry Leitch’s good score for the game’s later SNES port). Sanger scores the game’s location through tribal elements that consists of varied percussion layers, which possess a remarkably vivid sound for a 1990 PC game. The percussion is introduced early on “Main Theme – The Savage Empire”, before the fanfaric, determined theme kicks in. While The Savage Empire operates more on a textural and rhythmic level rather than a melodic one, the theme retains the listener’s interest throughout and the underlying rhythms remains satisfyingly varied. The following “Jungle of the Jungle” is more subdued, but the various melodic bits that float on top of the soft hand percussion backing interact nicely with each other to keep up the tension. “On the Surface” turns out to be a percussion-only piece that begins quiet and simple, before Sanger adds more and more layers and creates some ear-catching polyrhythms in the process – although some listeners might find the cue’s sole focus on percussion tiring after a while. Ultima: Worlds of Adventure 2: Martian Dreams would build upon the promise shown in The Savage Empire. Set once more in the Victoria Era, Martian Dreams takes players on a steampunk-inspired journey to the moon, where they meet Vladimir Lenin, Mark Twain, Marie Curie, Rasputin and other prominent figures of the era. The game’s increased scope is dutifully reflected in a score that is Origin Soundtrack‘s highlight andwas written by Sanger, Dana Glover and Tom Hollingshead. Clocking in at 15 minutes, this album’s medley presents the majority of the game’s 20 minutes of music. Martian Dreams turns out to be the most colourful segment on Origin Soundtrack, and together with some of Wing Commander‘s tracks, its pieces are also the best-developed on the album. 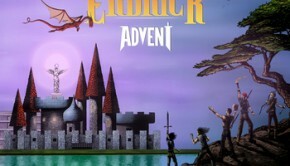 It’s obvious that the composers’ relished the opportunity to score the game’s unusual setting and tackled the task at hand with great creativity. This aspect comes particularly to the fore in Martian Dreams‘ eerie mood-building pieces that make the game’s lunar location a suitably alien place. “Turn Back the Clock” interestingly enough shows similarities to Ultima VI in its reliance on plinking arpeggio figures, but deploys these much more successfully. The cue leads several of these echoing arpeggios in chromatic harmonies over droning deep strings, and the effect is winningly atmospheric – dream-like and even a little grotesque. “Below Ground” turns out even spookier, with a ghostly woodwind lead over an uncanny rhythmic figure played by a music-box like instrument and its glassy, hollow tones. The combination of timbres throughout the piece is simple, but striking. “Dream Combat” manages to transplant these unsettling sounds into a battle theme through the use of a shrill violin figure on top of a cantankerous tuba rhythm. The violin’s shrieks can become grating, but they also give the music a convincingly surreal atmosphere, particularly towards the end when the violin line drifts into a mad swirl. Other pieces are more conventional, but equally entertaining. “Main Theme” opens with a strident, upbeat march that has the requisite degree of Victorian pomp and circumstance, before moving into more dramatic strains pushed forward by blaring fanfares. “Daytime” effortlessly mixes electronica and (synth) orchestra for a piece that starts out with a droll, amicable ditty that again retains enough stuff upper lip for the game’s Victorian setting, The music then blossoms into what sounds like a carefully orchestrated, very well-developed town theme. “Nighttime” returns “Daytime”’s slightly regal nature in more relaxed manner, but introduces a dreamy melody that is as charming as those found on “Nighttime”. Finally, “Surface Combat” is a brief, but skilfully realised battle theme that covers lots of ground during its short running time and and calls players to arms with a resilient trumpet melody. As this list of varied pieces hints at, Martian Dreams is the most successful composition on Origin Soundtrack in its capability to create a fully-developed, multi-faceted fantasy world through music. That only leaves the music for Bad Blood, a largely forgotten top-down action game with RPG elements, set in a post-apocalyptic nuclear wasteland where conflicts rage between pure-blooded humans and mutants. Directed and co-designed by Wing Commander creator Chris Roberts, Bad Blood features a score by Steven J. Morris, represented on Origin Soundtrack through a 10-minute medley. Unfortunately, it’s anything but a hidden gem. Dour, ascetic melodies that barely deserve the name meander over simple percussive backgrounds. The music provides fittingly downbeat background ambiance for the game’s barren locations, but is hardly enticing on a stand-alone basis. Bad Blood‘s medley never develops and instead awkwardly stumbles from one repetitive section to the next (this medley only has one break, despite consisting of several tracks). Its inclusion on Origin Soundtrack‘s remains a bit of a mystery, and Bad Blood is easily the album’s most disappointing section. Keep in mind that below score doesn’t reflect the quality of the music presented on Origin Soundtrack – which is quite mixed – but rather the desirability of the album, particularly given the album’s rarity. Its best components are available elsewhere, for a lesser price or even for free, and in more complete form. Wing Commander‘s exciting, bold space opera score is much better represented on the widely available Wing One – Music From Wing Commander, while the two Ultima: Worlds of Adventure are available legally and for free from GOG.com. In particular Ultima: Worlds of Adventure 2: Martian Dreams warrants collectors’ attention – it’s a colourful fantasy score that is among the best of the whole Ultima series. Sadly, the music exclusive to Origin Soundtrack is hardly worth chasing up. Both Wing Commander 2: Vengeance of the Kilrathi and Ultima VI: The False Prophet are the (near-)nadirs of their respective franchises – certainly not actively grating and not without any redeeming features, but all in whole underwhelming, be it the monotonous melancholy of Ultima VI ‘s unimaginative pieces or the uneventful background musings of Wing Commander II that feel wholly inappropriate for a sweeping space opera. In short: get the good bits from other, more easily accessible releases, and don’t worry about the rest – later albums in the Origin series are much worthier of your interest. Posted on June 15, 2014 by Simon Elchlepp. Last modified on June 15, 2014.